I want to sign up for a job in our class. This is about what job I want to apply for. Malo Justus! I agree with all the skills and reasons you have stated. I think you will be a very good candidate for this job. I really like the way you have set this out clearly which helps me to read and understand this quickly. 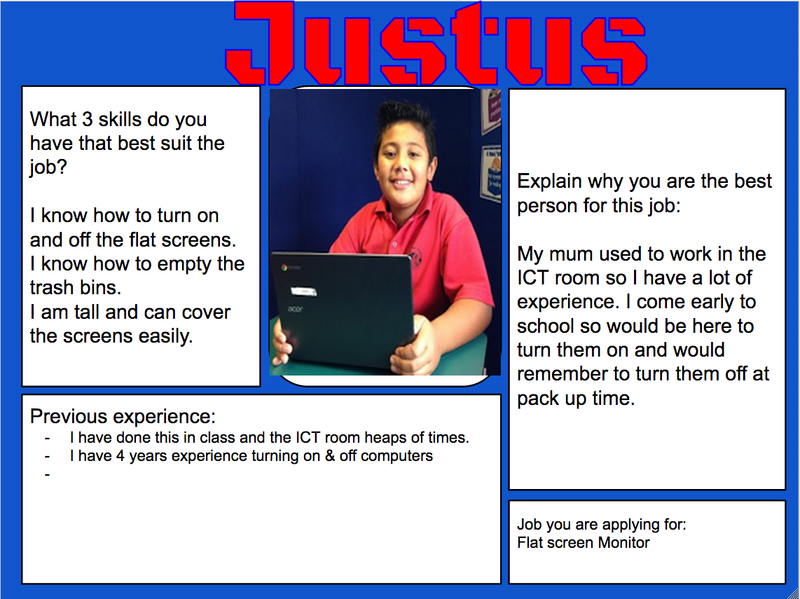 Well done Justus, all the best on your job application. Good luck Justus. You certainly have the necessary qualifications for the job you are applying for. Go get em Justus, this is awesome.